The Trained Leader Emblem is available for all leaders who have completed the Basic Leader Training program appropriate to their positions. The emblem is worn on the left sleeve immediately below and touching the emblem of office for which it was earned. Because trained leaders ensure that the goals of Cub Scouting are met, every Cub Scout leader is encouraged to earn the Trained Leader Emblem for his or her current position. Recognition awards are available to Cub Scout leaders who complete training, tenure, and performance requirements. These awards are presented by the local council. All of the awards require the completion of Fast Start Training, Basic Leader Training for the position, Youth Protection training, and participation in roundtables or a pow wow or University of Scouting. Some require additional supplemental training. One or more years of registered service in the appropriate position is a requirement for each award, and tenure used for one award may or may not be used for another. Recognizes den leaders who have completed training, tenure, and performance requirements. Available for Tiger Cub den leaders, Cub Scout den leaders, and Webelos den leaders. Complete one year as a registered Tiger Cub, Cub Scout, or Webelos den leader. Tiger Cub den leader's tenure can be the program year as long as it is greater than eight months. Complete basic training for the den leader position. Complete This Is Scouting training (part of Leader Specific Training). 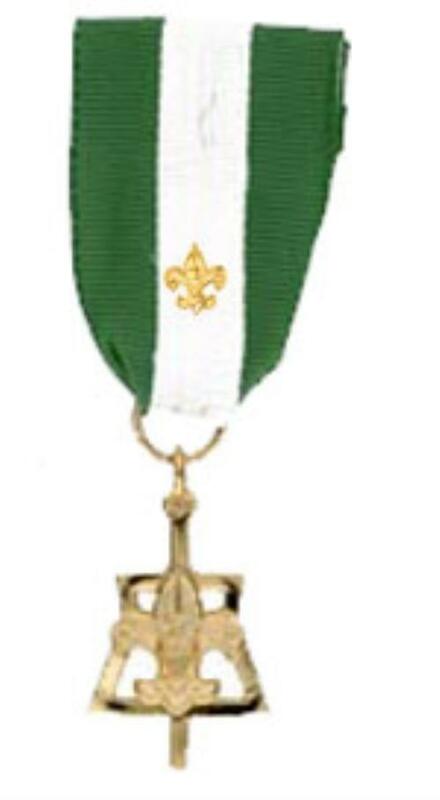 During your tenure for this award, attend a pow wow or university of Scouting (or equivalent), or attend at least four roundtables (or equivalent). Have a published den meeting/activity schedule for the den's parents. Encourages training, tenure in a position, participation, and performance of adult leaders. Serve as an adult leader in a pack that achieves at least the Bronze level of Journey to Excellence in each year (Quality Unit Award is acceptable if the tenure used is prior to 2011). Encourages training, performance, and tenure. Within a five-year period, complete at least three years of registered tenure as a Cubmaster or one year as a registered assistant Cubmaster plus two years as a registered Cubmaster (this can include the tenure used to earn the Scouter's Training Award). 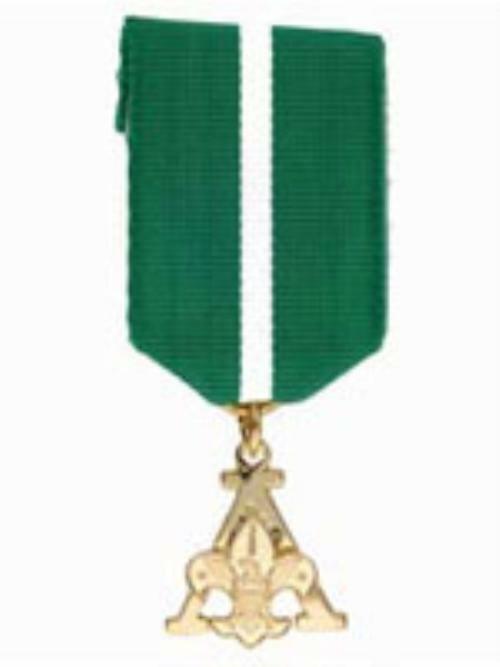 Achieve at least the Silver level of Journey to Excellence for at least two years (Quality Unit Award is acceptable if the tenure used is prior to 2011). Conduct an annual pack planning session and have a published pack meeting/activity schedule for the pack's parents in each year.